The Cass Scenic Railroad has deep roots. The West Virginia Pulp & Paper Company began harvesting the red spruce and eastern hardwood trees in the early 1900’s. A logging railroad was built into the forested mountains to bring the timber to the company town of Cass, where housing for workers, a commissary for provisions, a school, and even religious facilities were provided. Tracks to the timber were laid on grades up to 9% with switchbacks to achieve elevation. After 60 years of operation, the company closed the mill, the town, and the railroad in June, 1960. The railroad was sold to a scrap dealer. Thanks to the actions of railfans and local communities, the railroad was saved for tourism and became Cass State Park in 1963. In addition to the state of West Virginia, today’s Cass Scenic Railroad is supported by the Mountain State Railroad & Logging Historical Association, which sponsors the annual Railfan Weekend each year, rain or shine, the weekend before the public season begins. Railfans armed with a vast array of camera equipment and rugged clothing descend on this remarkable mountain railroad. 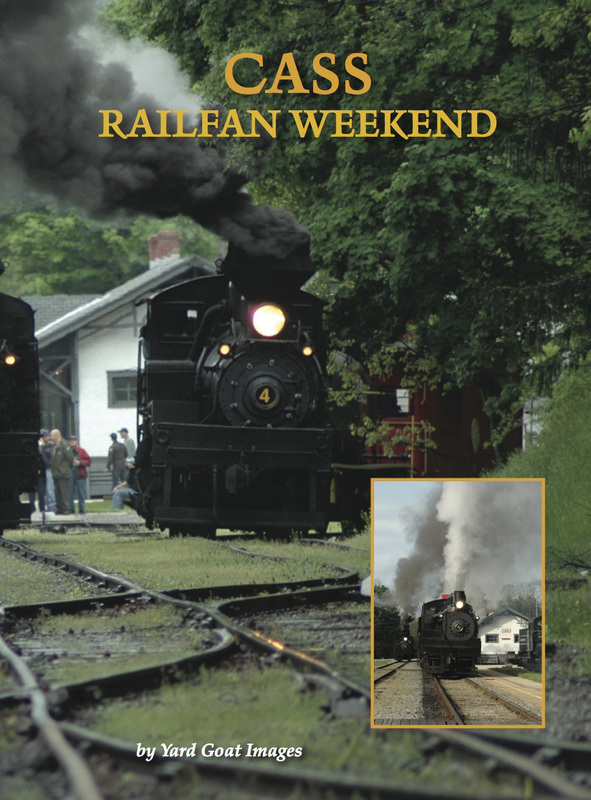 Our program documents the three-day 2013 Railfan Weekend, which marked the 50th anniversary of the Cass Scenic Railroad. The incredible beauty of the mountains of West Virginia, the variety of weather conditions, along with the sight, sound, and scent of four coal-burning Shays, is truly an amazing experience to share with you. Approximately 94 minutes / Captured with multiple tripod-mounted HD cameras / Conveniently organized by chapters / Minimal narration - less talk, more action! Cass Railfan Weekend from Steve Mitchell on Vimeo.